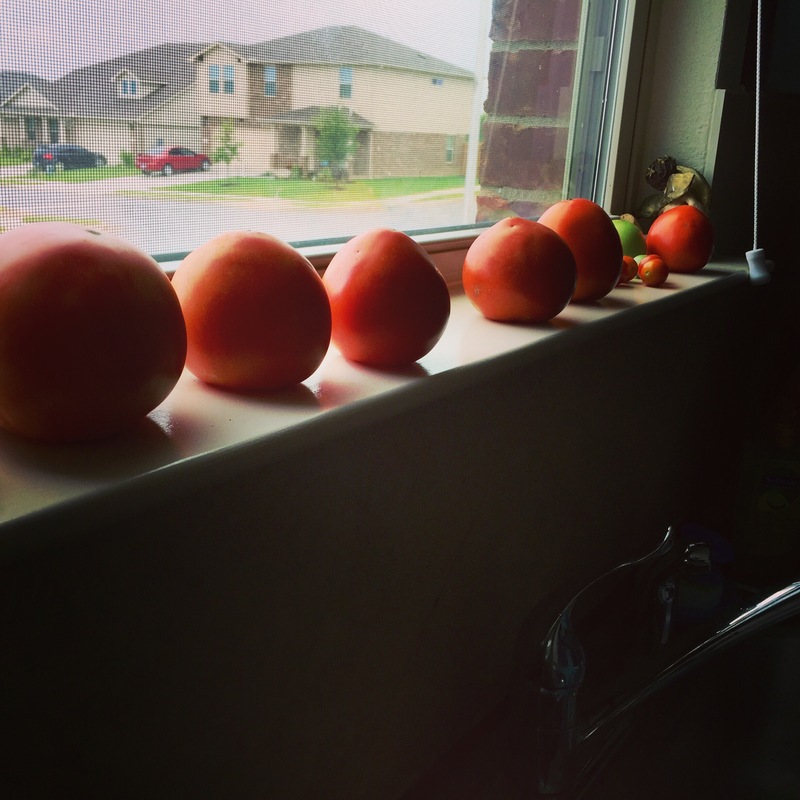 If I have to see a row of houses when looking out my window, at least I can do it through a row of locally grown tomatoes on my windowsill. I’ll make it seem like I live in the country any way I can! This entry was posted in Food, Gardening and tagged tomatoes on June 15, 2015 by Julie Riebe.